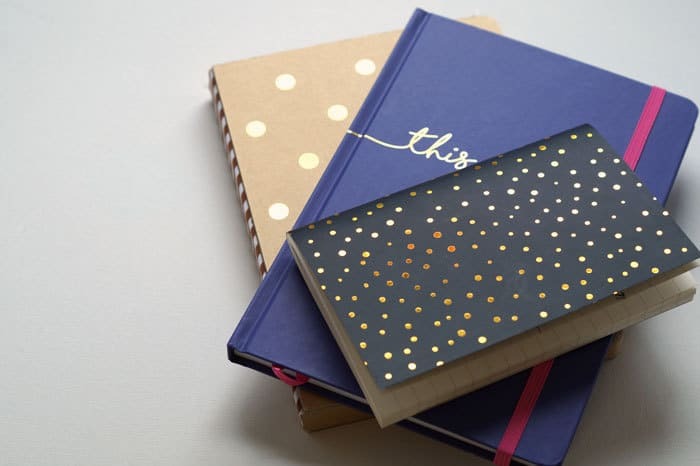 You COULD glue or tape the covers onto the journals if you don’t mind damaging them–or if you’re wanting a permanent makeover for your journal collection. But we’re going to use a slip cover technique I learned from my mom, a retired teacher who knows how to make a textbook last for yeeeaaarrrs. 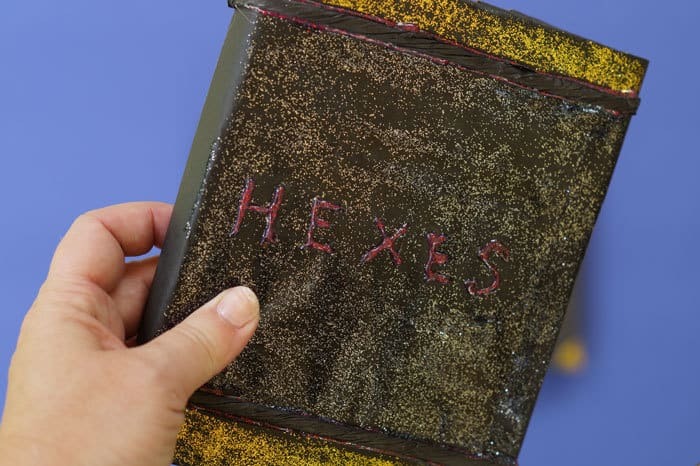 You can make a Harry Potter book cover from just about any large piece of paper. 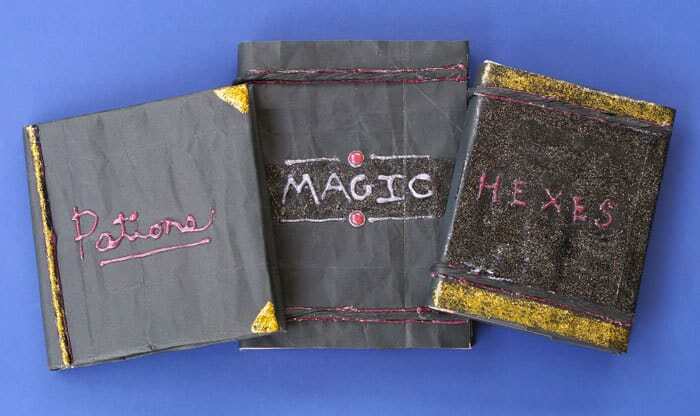 The original text book covers were made from paper grocery bags–which can be distressed and colored to look like leather. I found some black gift bags over at Target’s party aisle that we’re using today. 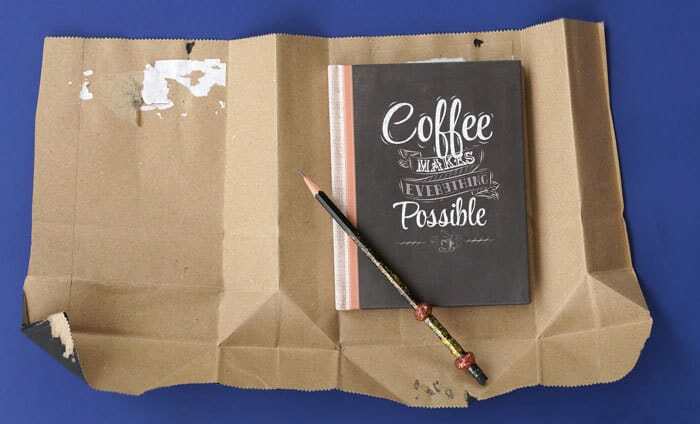 This does limit the size of book you can cover, but it saves you the extra step of painting or coloring in the paper. Plus most journals will fit! Note: hardbound books work best for this project, but feel free to experiment! 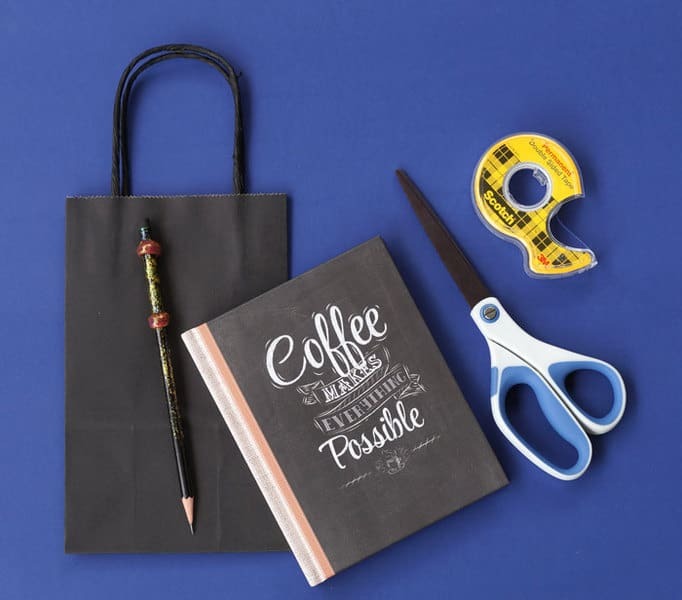 First open up the gift bag and remove the handles–but save them for later! You might want to use them for decorating your spell book later. 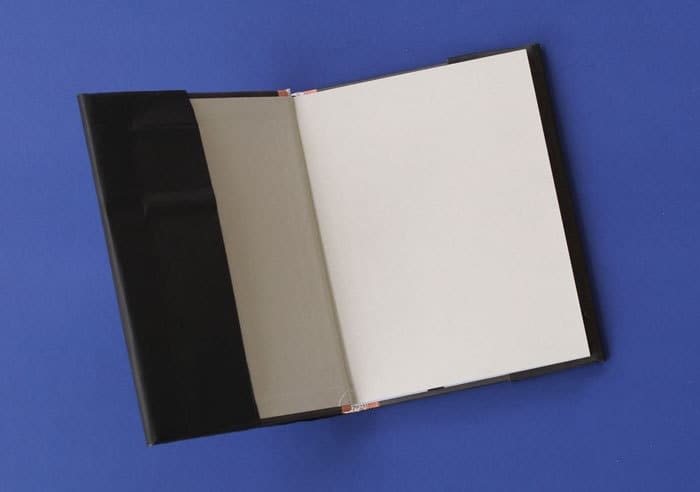 This is a good time to add extra folds and crinkles to your paper to add an aged look to the finished book. Put the book back on the center of the folded paper. 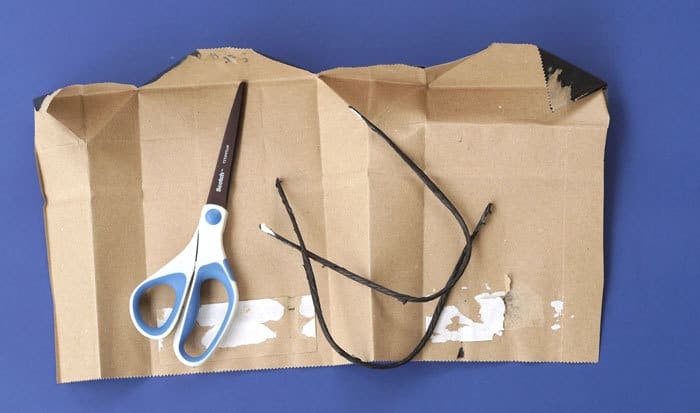 The ends of the paper cover will form pockets for the journal’s cover. Insert the book cover into the pockets, then crease all the folds. You can use tape to hold the cover on if you feel its needed. Now for the fun part! 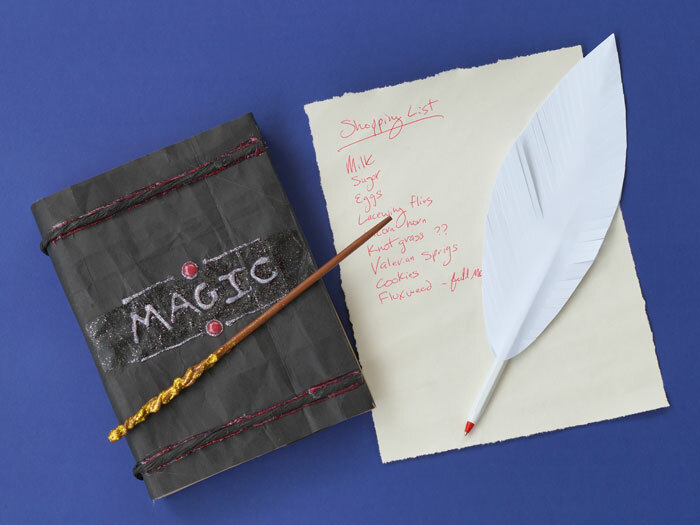 Decorate the covered journal to resemble your favorite spell or potion book. We used hot glitter glue to “draw” the books new magical title on to the cover and glued the gift bag handles on to add dimension to the cover. We also got a little crazy painting Elmer’s glitter glue all over some of the covers. 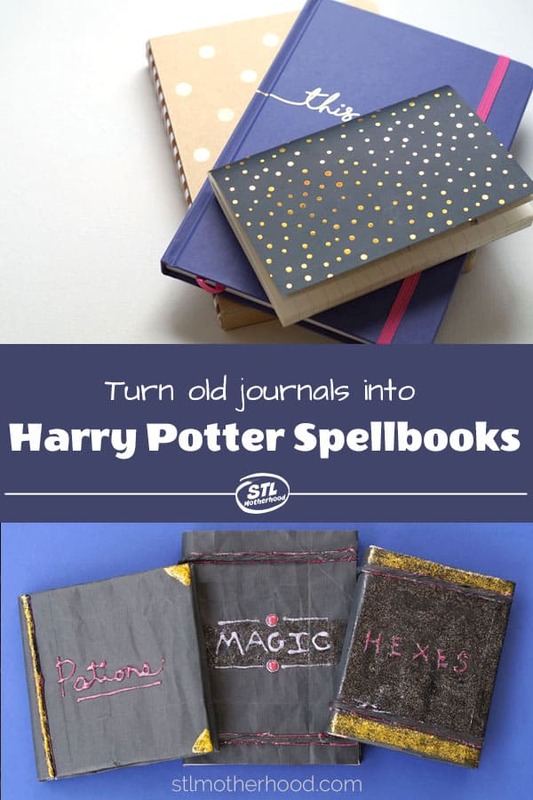 There’s no wrong way to decorate your new spell book! And the best thing? If you make a mistake, it’s just paper.